If we start eating a Whole Foods Plant Based Diet it’s also important to start eating mostly low glycemic index foods. Take for instance white flour which has a glycemic index of 100, which means white wheat flour breaks down into sugars very fast. Foods that break down into sugars very fast in general are not good for our health… and can lead to diabetes. While lentils have a glycemic index of 21 which means lentils break down into sugars very slowly giving us lots of long term sustained energy, thus helping to prevent diseases such as diabetes. Beans – Here are a few beans or legumes that have a very low glycemic index which is consider to be 50 or lower. But the lower the better as far as glycemic index goes. And there are other beans that have a glycemic index higher than 40 and thus one might want to consider having them only once in a while. Veggies – Here are a few great veggies that have a low glycemic index of 50 or lower. Fruits – Here are a few great fruits that have a low glycemic index of 50 or lower… and the lower the better. Root Veggies and Other Starchy Veggies – Here are a few root veggies that have a glycemic index of lower than 50, but remember the lower the better. Remember a baked potato has a glycemic index of 85 – very high. 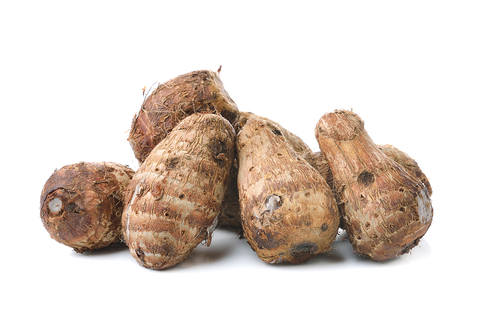 Taro Root – Boiled – 18 – Nothing compares to taro root for being a low glycemic index food. Grains – Here are a few grains that have a glycemic index of lower than 50, but remember the lower the better. It’s important to note that most of the other grains have a high glycemic index and some are highly inflammatory such as wheat, barley, rye, and spelt. It’s also been shown in studies that those on a low glycemic index diet lowered their triglycerides, lowered their cholesterol levels, lowered their C-reactive protein levels, and increased their HDL or good cholesterol. And their homocysteine levels dropped at the same time which is a marker for inflammation. And it was also found that serum creatinine and urea levels were lowered at the same time… which is important for people who have kidney disease. Plus there is glycemic load which includes the amount of carbs consumed in 100 grams of any particular food which given a particular value. And that value might be considered when eating any particular food. Also the slower the release of sugars from any particular food, the less likelihood that we will have weight problems and obesity. And of course the way we cook a food also changes everything. It’s important to remember that raw foods contain lots of live enzymes that disappear when we cook them. And those live enzymes are important for our health and well being. So eating a diet that is about 100% raw food during the day, and then having a nice hot meal in the evening works out to create about an 80 to 90% raw foods diet which is optimal. Of course it’s important to throw in a few of those moderate glycemic index foods once in awhile too. Because the large the variety of foods we eat, and the more varied out diet, we end up getting different trace minerals and live enzymes from all those different foods… which is very important. So there is a lot of good to be said for eating a low glycemic index diet along with a “Whole Foods Plant Based Diet”. We have the ability to lower our blood glucose levels naturally without taking any drugs, herbs, or anything else. Just by adjusting our diet and eating a low glycemic index foods along with a great “Whole Foods Plant Based Diet” thus we can be very healthy. Skype – drpaulhaider – and my cell phone is (831) 869-9119 – EST Time Zone.— call early I go go bed very early. This entry was posted in Healing Herbs and tagged Beans, Breaks Down into Sugar, Diabetes, Dr. Paul Haider, Eat a Low Glycemic Index Diet, Eat Low Glycemic Index Foods, Fruits, Good For You, Grains, great health, Health and Wellness, HH, legumes, Master Herbalist, Prevent Health Challenges, Prevent Weight Gain, preventing diabetes, Preventing Disease, Root Veggies, Slowly, Starches, USA, Veggies, Weight Loss, Whole Foods Plant Based Diet. Bookmark the permalink.